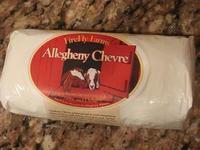 Allegheny Chevre is one of my favorites. 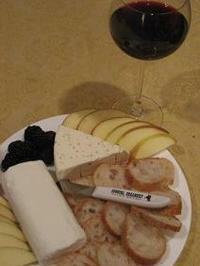 I'm looking forward to trying the new washed rind cheese and the bleu cheese which I've overlooked until now. Have you tried the Blue Suede Moo at Keswick? I want to give it another try on Sunday-my sample I tasted 2 weeks ago was a bit salty and not tangy enough. Ramona - Did you make it to the Farmers' Market today? If so, how was the new cheese from Firefly? I haven't tried Keswick's blue, but I've enjoyed some of their others. Mike - I'm flattered, I think. 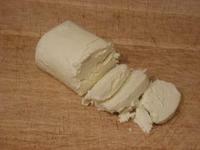 But I'm just one of the new folks here at DCFoodies, and cheese just happens to be my focus. I hope you're enjoying the posts. Next week I'll definitely get back into the routine. I want to try those cheeses!